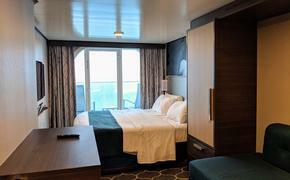 Crystal Cruises is bringing aboard more regional entertainment now that it is spending more time and scheduling more overnight stays in ports. On every Europe cruise this year, the line is bringing aboard dancers, singers and musicians whose art reflects their homeland’s culture and traditions, such as flamenco in Barcelona and Irish step dancing in Dublin. Complimentary shows are scheduled at ports in Italy, France, Spain, Monaco, Ireland, Turkey, Sweden and Ukraine on 26 Crystal cruises. Top talent includes Interpreti Veneziani, a string ensemble in Venice; the chamber orchestra from the Music School of Stolyarsky in Odessa; a boys choir in Monaco; and the Hodjapasha Culture Center’s whirling dervish show in Istanbul. Until June 30, all-inclusive “Book Now” fares for seven- to 15-day European voyages sailing until December start at $2,865 per person.